New to the Laser Tools’ HGV range is this clutch & flywheel jack (part number 7249), designed to remove, install and transport (in the lowered position) 14 inch and 15½ inch double-disc clutches and/or flywheel assemblies as fitted to HGV vehicles. Designed to be used when both removing and replacing these very heavy HGV clutch assemblies. 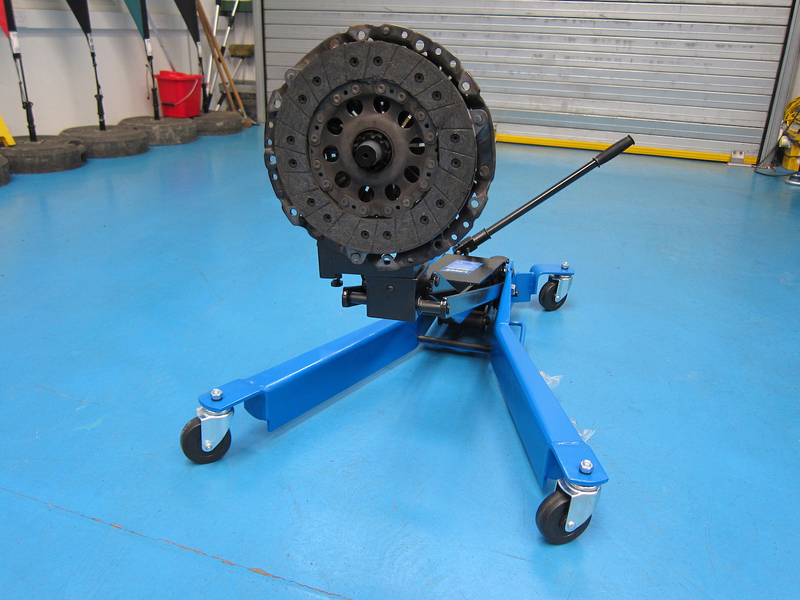 When refitting, the clutch/flywheel assembly is built up onto the splined shaft and support saddle; the low profile of the jack and assembled clutch and the four smooth-action castors make it easy to move into position under the vehicle. The whole saddle/clutch/flywheel assembly is then rotated through 90 degrees and then jacked up into position for fitting. The smooth hydraulic mechanism makes this a very easy job and once at the correct height, the support saddle is fully adjustable to ensure that the clutch assembly lines up straight onto the engine. Two sizes of splined shaft are provided. 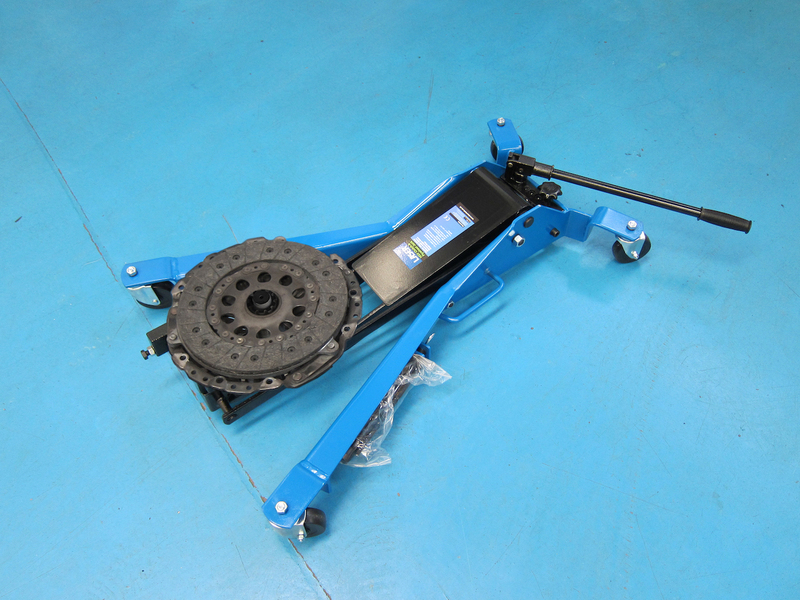 The 7249 HGV clutch & flywheel jack is typically priced at €1,100.